My wife has been using beans instead of fat in baking for about a year now. The taste and textures amazes most people when we tell them what is used. The cake cooks just a bit faster than normal, so be sure and watch close the first time you cook with them. The cake stays moist longer. There are two easy ways to replace fat with beans in most baking. 1. 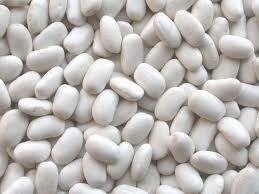 Simply cover beans with water and cook until very soft. Mash until about the consistency of shortening (use blender). Replace in recipes cup for cup. For example: Recipe calls for 1-cup margarine—use 1-cup mashed beans. Liquid may be added to adjust the consistency. Mashed beans do not keep long in the fridge, so freeze them.